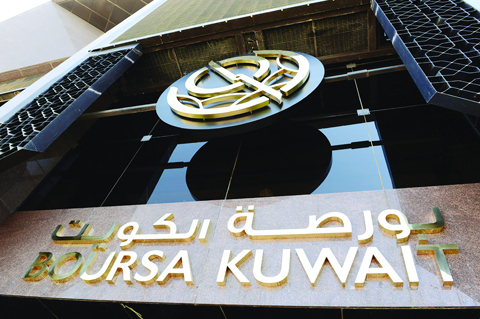 KUWAIT: Kuwaiti economists foresee significant growth of traded liquidity at Boursa Kuwait after its promotion to the level of an emerging market, thus boosting the prospects for a much healthier status of the national economy. Classifying Boursa Kuwait (formerly named Kuwait Stock Exchange [KSE]) as an emerging market will lure traders eager to invest in the Gulf region’s second key stock market, which comprises large banks and corporates with investments and branches in many countries, Saleh Al-Salmi, Chairman of the International Financial Advisors Company, said in an interview with Kuwait News Agency (KUNA). Chairman of Kuwait’s Capital Markets Authority (CMA) Board of Commissioners Nayef Al-Hajraf tweeted Friday night that the Financial Times Stock Exchange (FTSE) Russel Governance Board promoted Boursa Kuwait to an emerging market. Al-Hajraf dedicated the prominent achievement to His Highness the Amir Sheikh Sabah Al-Ahmad Al-Jaber Al-Sabah, attributing the merited promotion to the hard efforts the CMA led in cooperation with the Kuwait Clearing Company and Boursa Kuwait (formerly the Kuwait Stock Exchange or KSE). By joining the international market, the necessity arises for attracting global investment funds, where many companies that will be enlisted by the FTSE (The Financial Times Stock Exchange) will reap benefits, thus solidifying the local stock market a well those of the other GCC countries, Al-Salmi says. Muhannad Al-Sanea, Chief Executive Officer at Al-Riyada Investment Company concurred that the Boursa promotion constitutes a significant leap for the Kuwaiti economy, forecasting positive impact on most enlisted leading and operating companies. Boursa Kuwait’s elevation is the result of Kuwait’s string of economic and legislations’ reforms and amendments, Al-Sanea said. Moreover, the move will turn attention of global investment conglomerates to the Kuwaiti banks and services’ companies, thus the traded liquidity will grow. He expressed hope that the bourse company would find a formula balancing legislations with facilities for the traders, instead of being stiff in enforcing the regulations. Salah Al-Sultan, an advisor at Arzak Capital company eyes the bourse placing at this eminent international status as a “normal fruit” of the steps that have been taken by the Capital Market Authority and the bourse, which is managed by the private sector. Among the forecast positive results are greater trades, in terms of turnover and number of trades, luring foreign funds; an eventuality that will lead to higher liquidity, he added. Anticipating the promotion, some traders have been assembling blue chips, particularly those under Kuwait-15 index, he observes, anticipating that this tendency will persist further. Boursa Kuwait will witness noticeable rebound in the coming week’s sessions, Al-Sultan predicts, also expecting record rally by companies’ shares, expected to be enlisted by the FTSE. Mohammad Al-Tarrah of the Traders Society affirms that the promotion will make the Kuwaiti market much more attractive and will result in enlarging the liquidity. Liquidity, Al-Tarrah believes, will swell to KD 100 million ($327 million) per session once non-Kuwait investments enter the market. Issam Al-Tawari of New Perry Consulting Company cautioned that some foreign traders might be concerned about their interests if they join Kuwaiti groups, noting that concern must be devoted to sustainable enlisting by the FTSE, with respect of sensitive factors such as risks, transparency and protecting small investors. Khaled Al-Khaled, the bourse CEO, has affirmed the approach to meet the terms for promoting the national bourse, noting that the development would result in increasing the liquidity, shoring up the market and acknowledging the government success in granting leading role for the private sector in developing the economy. The new FTSE status has been a key objective of Boursa since the inception in April last year, he said. It highlights its mission to enhance the current level of performance in Kuwait, enable Boursa Kuwait to compete with regional peers and build a market reflecting the strength, depth and flexibility of the Kuwaiti private sector, Al-Khaled noted. Meanwhile, the Chairman of Boursa Kuwait Talal Al-Ghanim has affirmed significance of promoting the bourse to level of an emerging market however he cautions that luring foreign capitals will require enormous efforts.